Scanil is a highly effective treatment for all scar types. It actively promotes the healing process of the skin and reduces scarring from within. You can start the treatment with Scanil as soon as the wound is closed or the stitches have been removed. The transparent gel contains active ingredients that support the healing process inside the skin, regulating the production of scar tissue and working to positively influence scar formation. The sooner a scar is treated, the greater the chance of positively influencing scar formation. Start applying Scanil as soon as the wound is closed and/or any stitches have been removed. The clear gel is easy and safe to apply. Ideally, Scanil gel should be gently massaged in 2 to 3 times daily for at least 3 months. Scanil forms a discrete film that protects the sensitive scar tissue. 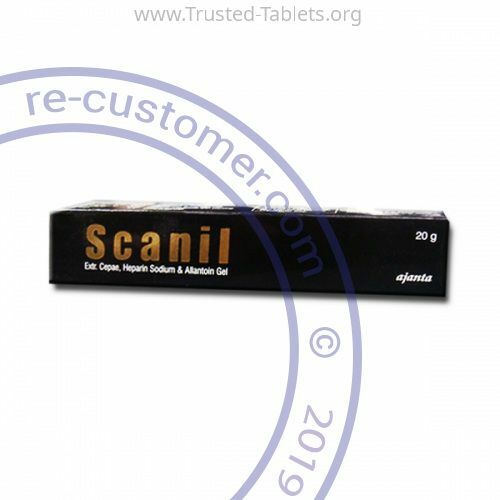 Apply Scanil only to wounds that are already closed. Avoid contact with eyes, the inside of the nose or mouth and other mucous membranes. Continue with a small, circular motion until Scanil is completely absorbed. Scanil is very safe and its tolerability has been proven in numerous clinical studies. Small children and even babies can be treated safely. The treatment can also work on scars that are older. With older scars Scanil should be massaged in 3 times daily for at least 6 months.